Amid a bleak economic climate, money is in short supply for many Americans all across the country. This may lead one to infer that a rise in counterfeit money may be looming or have already begun. This inherently disadvantageous scenario is not virgin territory, though, as individuals have been counterfeiting money for hundreds of years. In America, counterfeiting money has proved to be a tempting and valued form of fraud for individuals since the inception of the country itself. At the outset of the Revolutionary War, the First Continental Congress issued paper money known as "continentals" design to subsidize the financial burden of an extended entanglement with Great Britain. This earliest form of American currency presented a prime target for eighteenth century counterfeiters as these bills contained very few safeguards deterring counterfeiters. Individuals that produced counterfeit money during the formative years of the United States could actually be subject to capital punishment. Even though counterfeiting money was possible simply through the use of a wooden press, it was viewed as such a serious crime that money printed by Benjamin Franklin included the warning "to counterfeit is death." These harsh punishments existed for counterfeiting money because counterfeit money damages the value of genuine currency, and was viewed at the time as an affront to the nation that disrespected and disregarded its worth. During the Great Depression, counterfeit money was prevalent in the country, and was most likely a response to the harsh economic circumstances of millions of Americans. It was at this juncture in time that the United States Treasury and the Secret Service initiated a campaign to educate the banks and citizens in general about counterfeit money and how to detect fraudulent bills. As time progressed further into the twentieth century, the United States Treasury implemented numerous techniques that made the production of counterfeit money a much more arduous process. If an individual was not armed with extensive printing presses and the artistic aptitude to mold metal plates, counterfeiting money was virtually impossible. However, with the advent of home computers, scanners, and printers, counterfeiting money has become a more achievable aim. 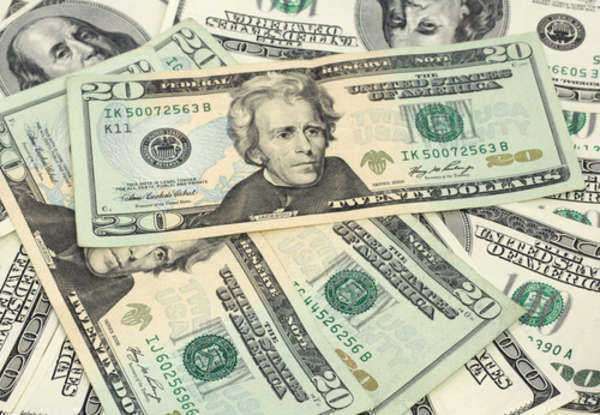 Counterfeit money is not a problem isolated to the United States alone as almost all nations using monetary currency have to deal with this issue. In fact, sometimes it can be the government itself that engages in counterfeiting money to satisfy an ulterior motive. The Nazis did just this during the Second World War as they forced Jewish artists to make counterfeit American and English money in an attempt to reduce the worth of the actual currency of those two nations. In addition to devaluing actual currency, counterfeit money can directly lead to inflation since an excessive amount of money has been flooded into circulation. Also, businesses that receive counterfeit money due not receive any compensation for their losses which, in turn, may prompt them to raise the prices of the products and services they offer. The history of counterfeiting money is continually adding new chapters to its saga. The most effective manner for government to close the book on this chapter of history is to develop and implement new sophisticated measures of detection.